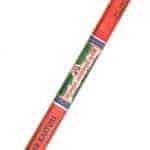 Welcome to the Gardens » Products » Incense from Around the World » Stick Incense » Green Champa Incense Sticks – Evergreen champa aroma. About 30 grams, tube. A nicely different champa, sweet and mild.